The reality is that you can expect that your report will be often be reviewed by a variety of parties under an assortment of circumstances. Most of these potential reviews are not particularly surprising. Employers and prospective employers in many states, including Arizona, to evaluate you for hiring and promotions. Landlords may access your report in determining whether to rent to you. Utilities can use your report to decide whether to impose a deposit. Creditors can use your score to determine whether to offer credit and to determine the applicable interest rate. Private student loan lenders and PLUS loan lenders use credit scores to determine eligibility. Insurance companies use credit scores to help them determine your rates for car and home insurance policies. There are many circumstances where your credit report does not come up. Your score is not reviewed for Perkins and Stafford educational loans. It should not be reviewed in court proceeding including child custody or immigration. Similarly, it should not be evaluated in a citizenship application. If you do care about your report and your score. Below are some tips for navigating your way through the credit report minefield. The first order of business: Avoid credit repair agencies. It is always tempting to retain a company to simply “clean up” your credit record, but the reality is no company can get in there with a mop and “clean up” your score for you. These companies are expensive and to date, I have yet to hear of one of them actually being able to fulfill its promises. Similarly, avoid credit monitoring or identity theft protection packages sold by the credit bureaus like the plague. They provide limited value and often come with a teaser rate where you end up overpaying for them. When you do have delinquent accounts impacting your credit score, the last thing you want is inaccurate entries in your file making matters still worse. Unfortunately, errant entries in credit reports are a pretty commonplace phenomenon. Fortunately, you can take corrective action. After reviewing your report, you can send a written dispute to each credit bureau that has reported incorrect entries. Under the Fair Credit Reporting Act, the bureau must investigate the entry and correct the mistakes. Even if the credit bureau informs you that they are going to correct the entry, you will want to check in the future to make sure that it doesn’t resurface. Predatory lenders look for Arizonans with bad credit records to take unfair advantage with near usurious credit terms. Do not fall victim. 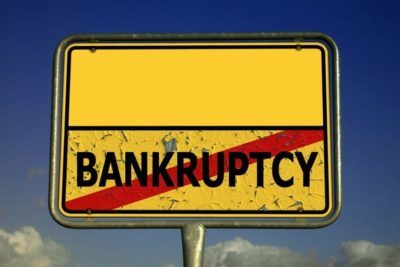 If this is the only option available to you, this is a real warning sign that it is time to seriously consider filing for bankruptcy. In the long run, the most important thing for you to do to reestablish a good credit rating is to stabilize your employment, income, and debts. Bankruptcy is often a great tool for making this happen. Changing all of your unsecured debt entries to discharged in bankruptcy gives you the opportunity to rebuild from scratch and rebuild quickly. The company that our bankruptcy firm has retained states their goal as returning our clients to 720 credit scores within 18 months after a bankruptcy filing by providing actual guidance on what steps to take after filing bankruptcy. One quick way to rebuild after bankruptcy is getting new credit and paying it back on time. But be careful. You may immediately get multiple credit card offers even though you have just filed bankruptcy, but these offers may be for expensive subprime cards that offer little credit and charge high fees. If you do take one, pay it off in full every month. You can also get a secured credit card, offered by some banks and other creditors. These cards require that you keep a cash balance and draw down on this amount. This should be viewed solely as a means to an end, getting you into a card with generous rates. Of course, if you decide to get new credit, make sure that the creditor is diligently reporting your progress to at least one credit bureau so that your effort is awarded. If your credit score is currently a source of stress please set an appointment with one of our attorneys at Phoenix Fresh Start Bankruptcy Attorneys so that we can explain how bankruptcy might be an effective tool for helping you rebuild credit. We are happy to help.